Hello, my name is Hannah a 24 years old Nanny and Maternity Nurse. I'm fun, reliable, trustworthy and have a true passion for babies and children. I love to be involved in all kinds of activities with the babies/children I care for. Theses include baby and toddler sensory classes, getting messy in the kitchen cooking/baking, doing arts and crafts, being outside burning off energy and helping them to learn all types of life skills to grow in confidence as they play. I am currently a night nanny for 2.5mo twins (4 weeks corrected). In this booking I was able to create a baby led day and night time routine. This has enabled the twins to improve their sleep pattern at night from 4 to 10 hours between feeds, going to bed at 7pm then waking for the day from 7-8am. In addition to working the nights I have recently been asked to work two days a week so Mum could go back to work part time. I assisted mum with day to day care for herself and her 4 week old son as she was keen to do an much as possible . She had been diagnosed with a medical condition making it difficult to carry out tasks involving lifting and limited use of her hands. The position included light housework, cooking meals, bathing and dressing the baby, attending doctor appointments and advising on breastfeeding. My role was a full time nanny/housekeeper to their 3.5yo and new-born. I took the opportunity to gain the brilliant experience of helping mum 24/7 on arrival home after C-section. This position had a range of duties from full housekeeping and organising/running of the family home to childcare duties of 3.5yo and a new-born. In this position I cared for 3mo triplets (2 months corrected) throughout the day and also at night, allowing parents, family and friends to take a break and catch up with much needed sleep. I met all their needs from feeding, bathing, giving medication when required, stimulation play, developmental activities and plenty of outdoor time. The time spent with this family was caring for twin boys aged from 16 months. I was able to enforce a daily/weekly routine that included healthy meals and snacks, activities and toddler classes to develop their skills and knowledge. My other duties included a large about of housekeeping as well as general errands. During my time with this family I proxy parented for children aged 4yo, 8yo, 12yo. I was in sole charge 24/5 or 6 days a week due to single parent traveling worldwide for work. Along with the normal running of the home and nanny style parenting, one of the children had a speech difficulty therefore needing weekly therapy. I became very involved in the sessions so I felt I was able to support and encourage her to keep up with it during the times between sessions so she maintain progress. ONC Course: Post- natal maternity nurse. Below are the latest reviews for Hannah. Please note that reviews represent the subjective opinions of other Childcare.co.uk users and not of Childcare.co.uk. Parents must carry out their own checks and references on childcare providers to ensure that they are completely happy before enaging in the use of their services. 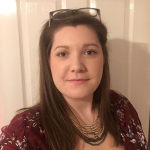 Hannah is professional, caring and focussed on the care of babies and children. I had absolute complete trust leaving our premature twins in the care of Hannah. She swept in like Mary Poppins and showed complete confidence. We hired Hannah as a live-in nanny and she was unobtrusive and a pleasre to have around.